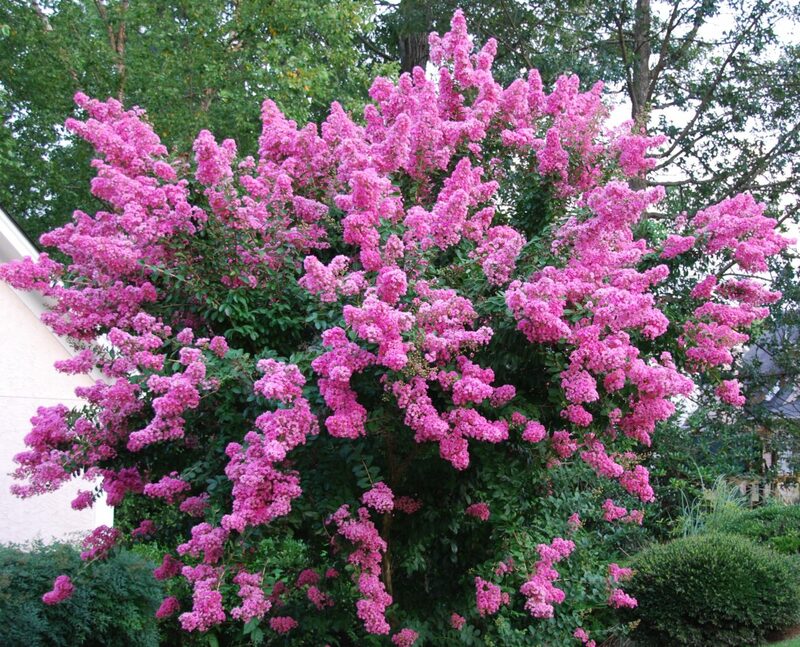 Crape myrtles are native to China and are suitable trees for various uses in gardens and landscaping. 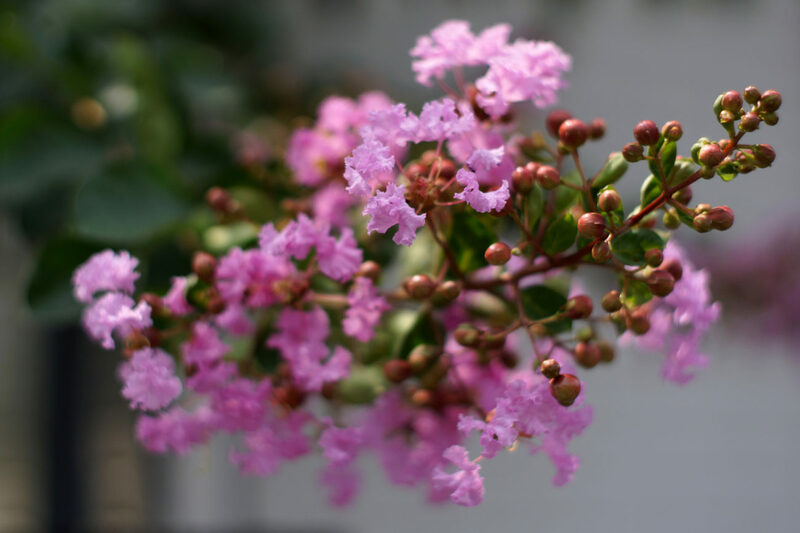 Most crape myrtles in gardens are varieties of L. indica or hybrids between it and L. fauriei, which is valued for its hardiness and exceptionally showy bark. 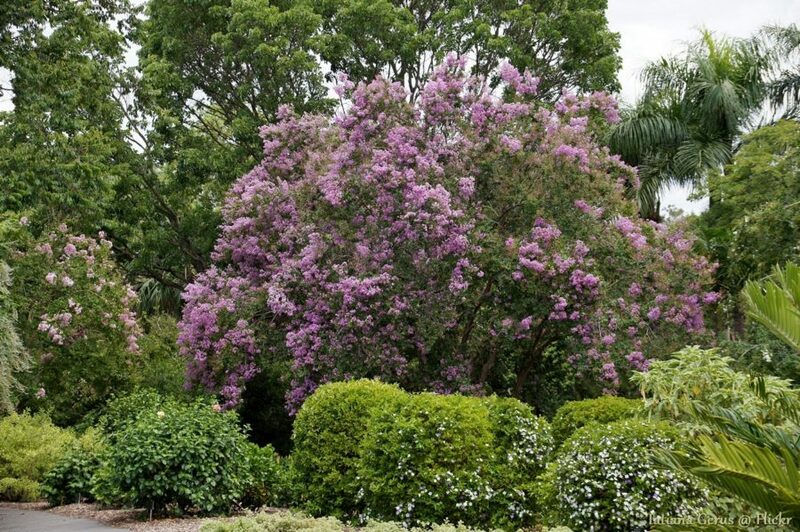 Most maintain a size of less than 25 in height and width, and have very pleasing aesthetic qualities. Throughout the summer, pink, lavender, or white flowers bloom - and in the fall, the foliage can turn shades of yellow to red, depending on the species and variety. They are tolerant of regions with hot summers requiring only infrequent but deep watering. 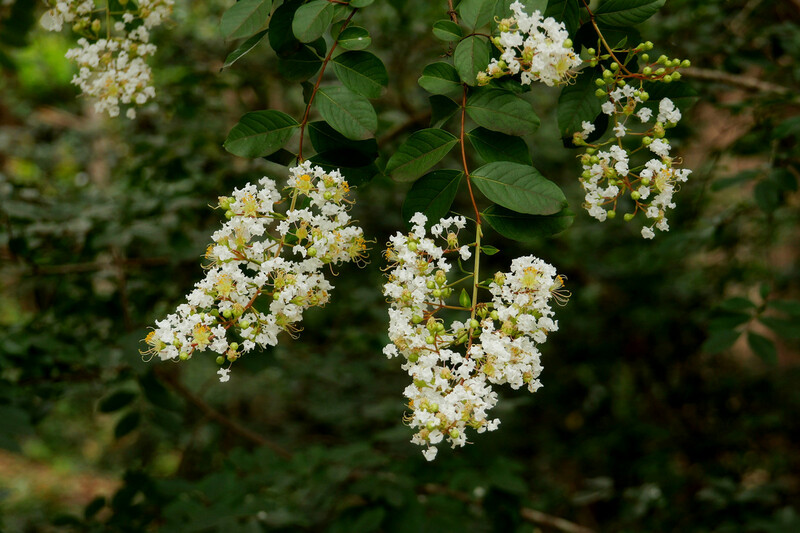 Most maintain a size of less than 25 in height and width, and have very pleasing aesthetic qualities. Throughout the summer, pink, lavender, or white flowers bloom - and in the fall, the foliage can turn shades of yellow to red, depending on the species and variety. 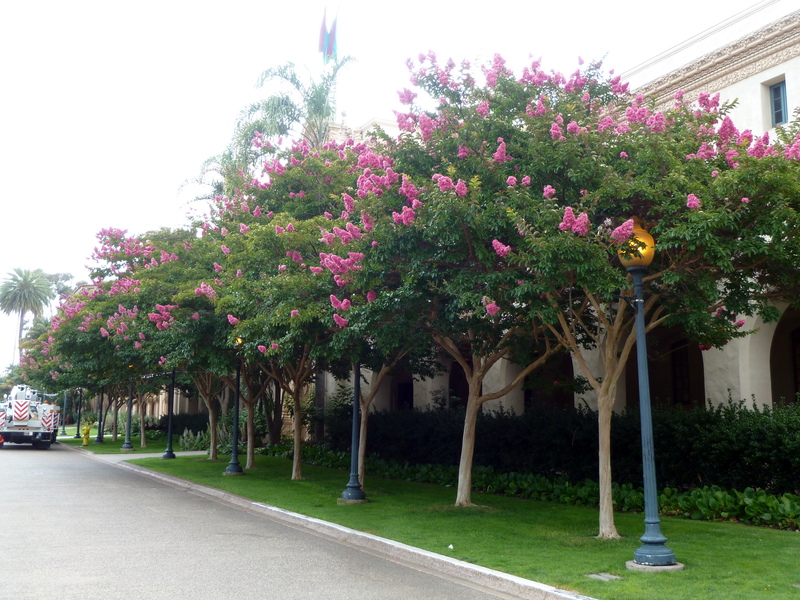 Crape myrtles do not do well planted along the coast with seaside influence. 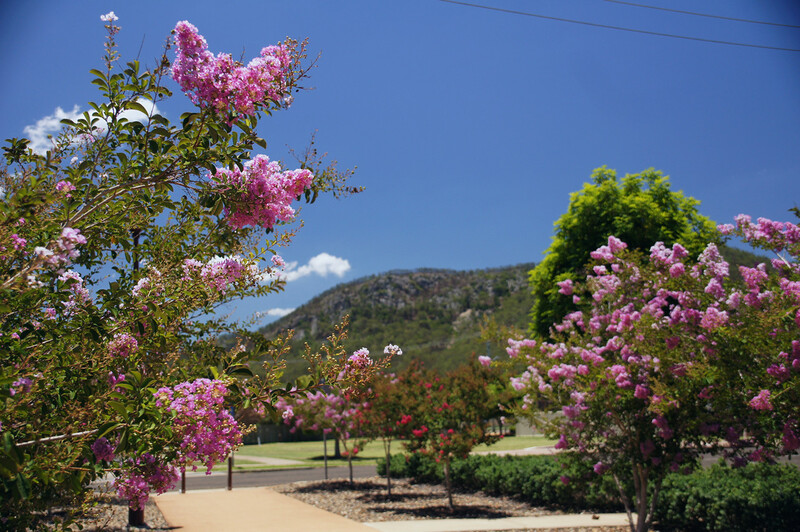 Water needs vary by species and region but can be drought tolerant in some regions. Mildew can be a problem in Sunset zones 15-17 and 22-24. 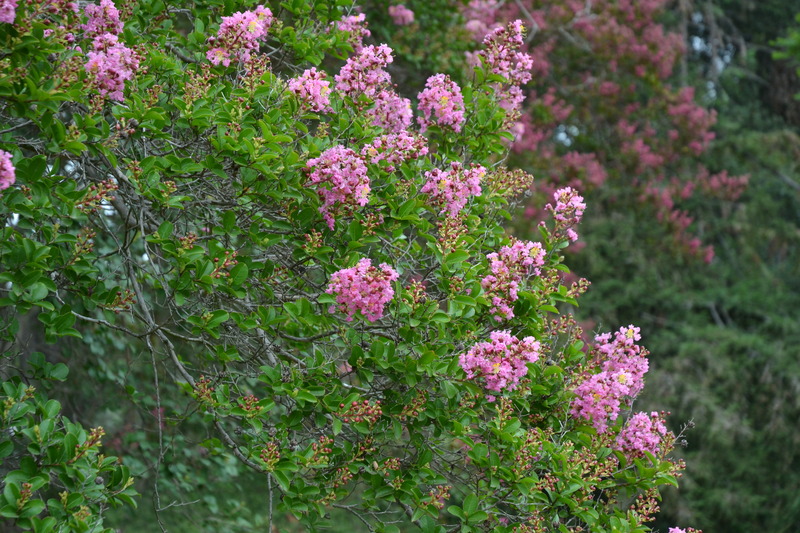 Hybrids are more mildew resistant, and can be grown as shrubs or trained to be small trees. 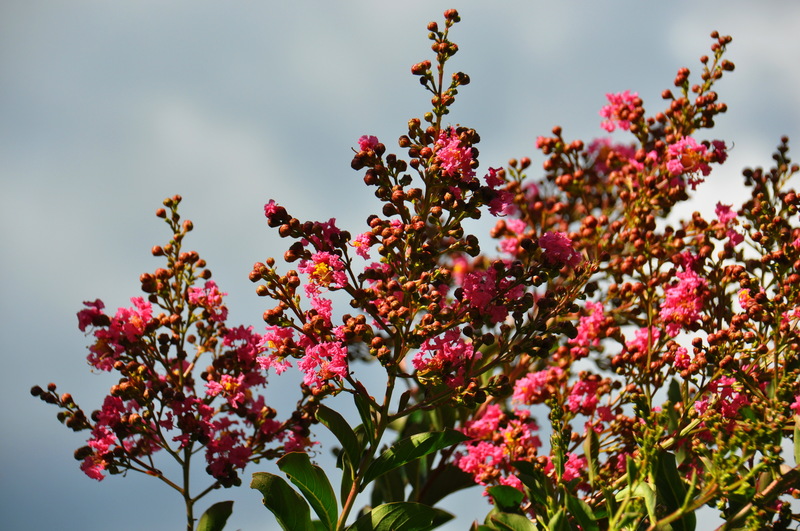 Crape myrtles bloom on new wood, so prune them in late winter or early spring. Photo by Flickr user Takashi M.